I fell in love with classical music at a young age. It happened as a byproduct of my environment. Songs from Kool and the Gang, The Police, and Michael Jackson played on the soundtrack of my childhood – right along with Brahms, Hayden, Tchaikovsky, and Mozart. In addition to pop tunes from the 8-track player, hours of ballet class contributed to my early musical education. When I hear The Swan, the dancer inside me can feel the tension of lengthening stretches at the barre. The Waltz of the Flowers still causes me to stand a bit taller, as my body wants to prepare for a series of pique turns across stage. I never stopped to consider that classical music was “out of my reach” as a child. It was an integral part of my everyday environment. Shakespeare can feel very “out of reach” to adults. For many of us, a high school English literature class was our first introduction to, and perhaps our only interaction with, one of the greatest writers in the English language. Imagine what our relationship to William could have been if we had first encountered him when we were children. When we saw the world with fresh eyes. When our hunger for story was greater than our fear of looking foolish and inadequate. I commend to you the following list of books about William Shakespeare. Through their pages, children will become acquainted with young Will as he’s writing his first play. They will experience life at the Globe Theatre through the eyes of a young runaway boy. They will encounter the colorful cast of characters and the precarious situations that life brings their way. 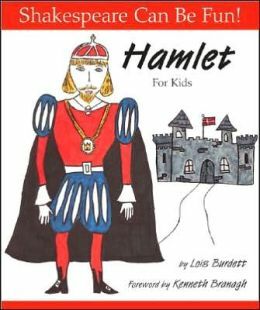 Our children have an opportunity to befriend, explore, and enjoy Shakespeare’s works long before they must navigate the more challenging language, and long before a demonstration of mastery is required from them. The characters become friends. 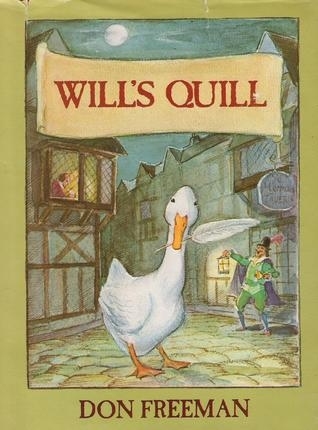 Shakespeare’s stories – alongside Mother Goose, Aesop’s Fables, Anderson’s Fairy Tales –become cherished favorites. Not because it was required. But as a byproduct of their everyday environment. Probably my favorite (but take into account that I’m a huge Nesbit fan). Beautifully written, engaging, and true to story, yet each chapter is short enough to read in one sitting. A classic. Similar to the Nesbit book, but the stories are a bit longer. Highly recommended. 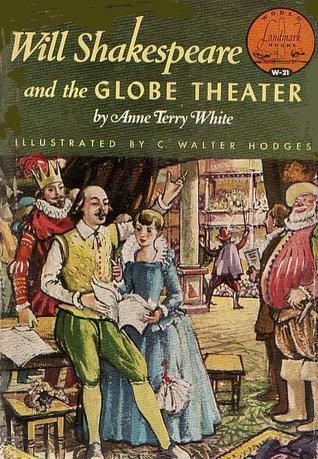 A little boy runs away to find himself living in the Globe Theatre. He becomes part of the Shakespeare household. Many of the actual historical characters are included, and we get to see “behind the scenes” as Mr. Shakespeare’s new play, Romeo and Juliet, is being produced. This series is a fun introduction for children. I’d recommend reading the Nesbit story first, then reading through Burdett’s corresponding book. 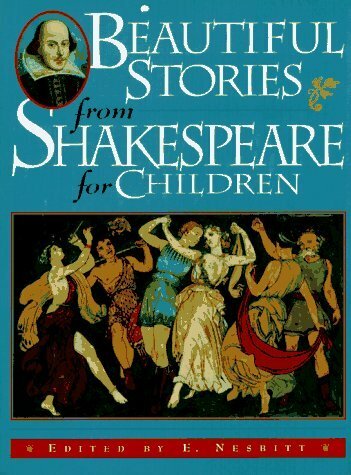 Each book tells one of Shakespeare’s stories through rhyme. The artwork (and occasional commentary) is provided by children. The stories are clever, fun, and often include direct quotes from Shakespeare. One of the World Landmark series. A great piece of historical fiction that walks the reader through Shakespeare’s life and the Globe Theater. An easy read, but I learned much. A delightful picture book. Found in most libraries. Weiss is a master storyteller. I’d recommend his cds for children of all ages. 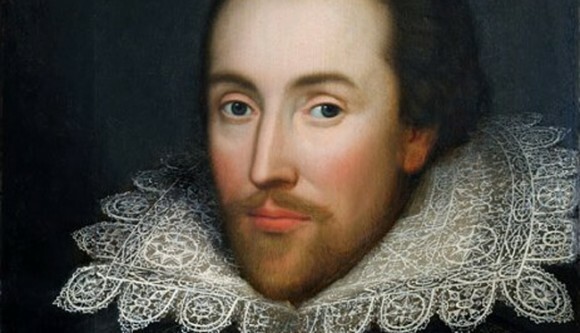 Happy Birthday 449th, William Shakespeare! You’re still inspiring us to create. You’re so welcome. The Nesbit book and The Wonderful Winter are our very favorites. I’ll look forward to hearing! I love this, Julie! I didn’t catch the “hey, this Shakespeare guy is pretty great” bug until college, but I wish it had happened sooner. I’ve seen the Charles & Mary Lamb book before, but the others are new to me. Excited to check them out. Laura – I felt the same way. Really, I didn’t grow to love Shakespeare until I started exploring (beyond what had been required) with my kiddos. Happy reading! These sound great. My wife and I love the Bard, but I’d never thought his material could be presented in an accessable way to kiddos. Loren – I’m so grateful for folks who invested their time and talents in making his work accessible to children. The Weiss cd is a great place to start – who doesn’t love a good storyteller? !